Ajay Devgan’s directorial debut U, Me aur Hum is one of the most grating and poorly written films I’ve seen in months. This is two bad movies for the price of one: the first half is a shrill, overwrought comedy full of insufferable characters (I yearned for the relative tastefulness of the Kader Khan-Shakti Kapoor tracks in 1980s films) and redeemed only by some nice cruise footage; then it changes tack midway to become an equally shrill, overwrought drama about the effect of Alzheimer’s on a sufferer and her loved ones. But predictably, having decided to take on a “serious” issue (perhaps because of the respectability tag), it simply cops out in the end. The story begins with a young (and fabulously rich) psychiatrist named Ajay (Devgan) goofing about on a cruise vacation with four friends (two couples, whose tiresome shenanigans and vulgar jokes get an astonishing amount of screen time). When bar-girl Piya (Kajol) asks Ajay “Anything you desire, sir?” and he replies “Yes. You”, we must obediently accept the film’s word that “true love” has struck. (Shortly after this, Ajay jumps on to the bar to announce that all drinks are on him, and a bump-and-grind song sequence follows, featuring back-up dancers presumably hired from Devgan’s recent films like Cash.) He woos Piya in increasingly silly ways. She reciprocates. There is a misunderstanding. They part ways. She comes back to him. He’s waiting for her, with a house that’s done up entirely in white (her favourite colour) and a dog named Mr White, and they get married (I mean Ajay and Piya). Strangely, she fails to do the first thing any conscientious spouse would have done – that is, give marching orders to his quartet of moronic pals. U, Me aur Hum is consistently wrong-footed, its tone lurching (sometimes within the same scene) from unfunny screwball comedy to intense psychological horror to cutesy romance. (The bouncy song “Saheli jaisa Saiyyan”, incongruously deposited in the middle of a high-drama scene late in the film, exists for no reason other than to provide TV channels a standard romantic music video.) The screenplay is littered with convoluted faux-philosophical discussions (never use one sentence when you can use five, is the motto), homilies, spin-offs from corny Internet jokes and general vagueness. (“Dukh ki baat yeh hai ke isme khushi ki baat nahin hai,” says a doctor, making a bittersweet announcement.) No premium is placed on political correctness either: in Ajay’s office, his receptionist passes him the phone with the words “Doctor, someone wants to talk to you. Serious mental case lag raha hai”. Further, the middle-aged Ajay has clearly made the most of a bad situation – as he tells fellow passengers listening to their love story, he gets to “patao” his wife afresh nearly every day (because she keeps forgetting who he is, or how they got together), and then there are those “bonus” days where she remembers everything and all is normal. When he finishes the story (to the moist-eyed applause of the other vacationers), it turns out that this was one of those bonus days: Piya, who had been listening to the story as if it was new to her, was only pretending to have forgotten him. Voila. What a warm, fuzzy way to wrap things up. Starry-eyed couples everywhere will be wishing that one of them gets Alzheimer's – it sounds so much more exciting than your regular relationship, which dies painfully within a few months since neither of the partners ever forgets anything. - Technically speaking, there are moments that betray a lack of cinematic common sense. Take the lengthy sequence where Kajol places her baby in the bathtub with the water running, goes out of the room and then zones out – distracted by the sight of a lizard stalking an insect on the wall, she forgets about her infant, leaving him in mortal danger. This is intercut with shots of Ajay reaching home and making his way upstairs; the house attendant chatting with a friend at the door, unaware of what’s happening inside; the family dog barking loudly; the water level slowly rising above the baby’s head. Viewed in isolation, this is actually a well-constructed sequence straight out of the how-to-do-suspense textbook. Built around the question “will the child be saved in time?”, it demands a certain emotional investment from the viewer, and the cross-cutting is skillfully enough done. But looked at in context it’s simply gratuitous and unnecessarily prolonged – because, you see, in the scene before this one, we have already seen the baby being brought to the hospital, treated and revived. The bathtub scene is a flashback that is shown after the doctor asks Ajay what happened. So there really wasn’t any suspense to build in the first place. It’s an example of a first-time director trying too hard to experiment (with chronology, in this case) and abandoning basic sense in the process. P.S. Anyone interested in a list of the five scenes I actually liked in this film, feel free to email. P.P.S. Over at Ultrabrown, a commenter describes what the Farrelly Brothers might have done with this material. Now that's one film I'd love to watch. Very funny post, as always. I'm tempted to watch these movies purely for the pleasure of seeing something you'd pointed out in your review and screaming, "Hey, look! That's what Jai Arjun had meant when he said..."
Oh I so agree! I think the movie was extremely choppy- no smoothness or continuity. Also, I hated the "moronic pals". Worst of all, the hall here (in the US) had NO intermission, since the movie is longer than most US movies. So didn't even get the disprin! I have tried to procure a copy of the movie Urf Professor for a while now,but in vain. I suppose, you are one too. Have a look. hey your review is more interesting than the film.....you should try your hand at direction some day. "Starry-eyed couples everywhere will be wishing that one of them gets Alzheimer's – it sounds so much more exciting than your regular relationship, which dies painfully within a few months, since neither of the partners ever forgets anything." the way these films sentimentalize real-life disabilities is so offensive and yet it is so hard to communicate this to a lot of people who are so readily moved by even the most facile of such attempts. Phew - all the glowing reviews out there had me wondering if I had indeed seen the same U, me aur Hum as those reviewers had. 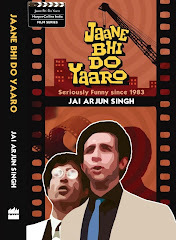 Jai Arjun Singh reflects my opinion (albeit in a much funnier way) of the movie. Yaay :-D! Rahul 1: No, haven't seen it - have only vaguely heard of it, actually. Rahul 2: thanks, but as critics of critics have so often pointed out, it's much easier to write about bad films than to actually make them! A fan of Baradwaj: yup, I'm a BR groupie too. Saw that review earlier and had an email discussion about the film with Baradwaj. Nothing major - he made the point that it isn't trying to be an Alzheimer's film, that it uses the disease as a Macguffin to explore relationships. To which I replied that I didn't think it worked as a relationship film either, I couldn't care for most of the characters, and that the pacing was too uneven for me. Unmana: thanks, but I hope you're not really screaming my name out in a crowded movie hall?! Alok: I know, intention usually counts for way more than actual execution. I've noticed that's true for a lot of emotional scenes in mainstream Hindi films (and TV serials for that matter). All a film has to do to get a certain type of viewer moist-eyed is merely touch on a tragic scenario (never mind that it could be dreadfully over-written and embarrassingly acted). 50 First Dates. Watched it? The story sounds quite similar to 'Notebook'; which also got great reviews, but was again a terrible movie! Neha: Haven't seen The Notebook, though I know it's directed by Nick Cassavetes, whose film She's So Lovely I liked moderately (and who is the son of John Cassavetes, a great independent director of the 1960s, and Gena Rowlands, a wonderful actress). Lalbadshah: no, haven't seen 50 First Dates. Rachna: hmm, maybe they confused the film with the ship? Even Baradwaj Rangan can have a difference of opinion. So anyways I agree with you that the movie was a big bore and probably just off the cuff when it needed to build on its characters. I was not too amused by Devgan's buddies and their stupid jokes. I am sure that very few such characters actually exist. I am sure that very few such characters actually exist. Shwet: I can't share your optimism. I'm sure many such characters do exist in the real world - but I have a problem with having to watch their antics for three hours. What gets my goat is the hypocrisy of making a film (supposedly) about a serious issue like mental disease and its effect on a marriage and then not letting even a HINT of it escape in your posters/promos, which all look like touched up posters of Kaho Na Pyaar Hai with older characters. What should be the USP of the film, for surely we have seen enough frothy romances between Kajol and various co-actors, is virtually hidden till the film releases. Only Bollywood can do this, really. Agree with your views on the first half. The four jokers and the dialogue writer really spoiled the mood bigtime. But the second half worked for me to such an extent that I was willing to forget the first half's inadequacies. I know am in minority here but i actually liked the film. Was fun to read your take though ! Rarely is it that I go and watch movies after reading their reviews, but this movie just a look at their trailers and the title made sure that I kept my distance from it. Good post about the movie though where is the section on the funny comments of the audience here ? After watching an excellent movie (The Lives of others) where the couple sitting next to me made the whole experience much more funnier than I imagined it would be(blogged here) I am wondering whether the funnier comments come up in movies like U, Me aur Hum or the ones like Brokeback Mountain. Nice review....as always! I felt the unsubtle references to Nepalis and gays was very distasteful. Guess the filmmakers wanted some free publicity out of controversies but their ploy seems failed! ah! the problem with such thrashing reviews is that now i have to watch the movie to see how well you've written it ;-). your reviews are invariably interesting. Jabberwock, I am surprised that you expected real day-to-day life situations/complications of living with a partner with alzhiemers from UMH! Looking at the film's promos/starcast and the title I would hardly expect to see that. If I want to know about the real life struggles of living with a partner with that disease, I would watch a non-commercial/regional (in my case marathi) movie. Yes. I fully agree. And have my own views on it too. Thank you, really, for the one sensible review I've seen of this movie. I think the movie revealed more about Ajay and his prejudices than anything about Alzheimer's, relationships or even cruise ships. I was hoping you'd touch on the one issue that totally got my goat: on how "Doctor" Ajay is constantly making value judgements about the situation of his patients and their care-givers and getting away with it. He tells the lady early on that she's totally out of line with admitting her husband in a professional care facility. What if she is unable to take care of him by herself? What if she, say, and to be representative of a 'typical Indian household', has to take care of two children and her parents/parents-in-law and hold down a job, and all this is impossible to manage with giving an ill husband the 24/7 care he needs. How is a DOCTOR making the judgement that she should not send him somewhere? What is wrong if she is "doing it for herself, for her benefit, for her convenience"? And then later there's this family that WANTS to take care of their ill father at home and he insists on them sending him away. And then after his painful soliloquy he brings his wife back. Any person who's actually a caregiver for a serious mentally ill person in the family and watching this will now feel horribly guilty about putting them in a professional care facility - is that the whole point of this movie? If this movie becomes widely watched, Ajay Devgun would've single handed-ly moved the still nascent movement in India to treat mental illnesses with professional treatment, back by twenty years. Your post was really funny! I think the positive reviews this dastardly film got are a result of the "wannabe" syndrome. Anything that's offbeat or deals with a serious issue (Alzheimer's in this case) must be given good reviews, or the reviewer opens him/herself to accusations of being art-illiterate. Similar to some people who gush over art even when they don't see what the fuss is about. "he tells fellow passengers listening to their love story, he gets to “patao” his wife afresh nearly every day (because she keeps forgetting who he is, or how they got together), and then there are those “bonus” days where she remembers everything and all is normal." Flashback - 50 first dates !! I haven't seen this Devgan movie but I think at least this whole idea is from 50 first dates. Just stating what I found obvious. I have watched this movie 4 times. A very movie indeed.It was Ajay Devgan's direction in which both of them acted superbly. The alzheimer disease was shown as one of the key factor in deciding the flow of story. But I was really disappointed to see the box office collection of the movie.